Top10BisexualDatingSites.com provides services to you subject to the notices, terms, and conditions set forth in this agreement. In addition, when you use any of our services (e.g., customer reviews), you will be subject to the rules, guidelines, policies, terms, and conditions applicable to such service, and they are incorporated into this agreement by this reference. We reserve the right to change this site and these terms and conditions at any time. 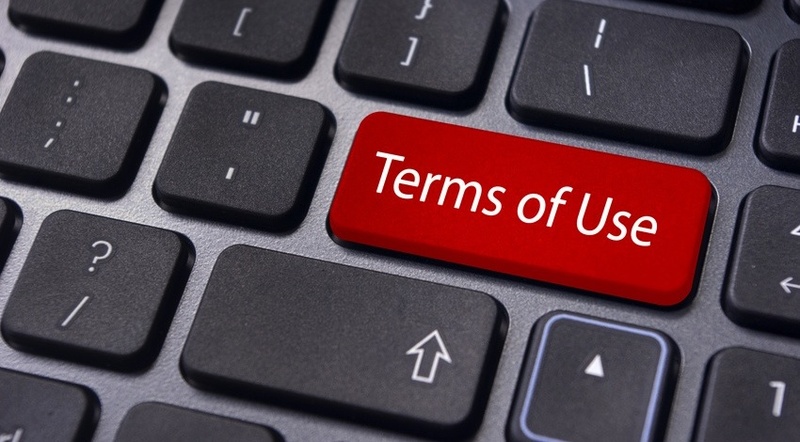 Accessing, browsing or otherwise using the site indicates your agreement to all the terms and conditions in this agreement, so please read this agreement carefully before proceeding. The most current version of these terms will be located here. If we make material changes to these terms, we will notify you by posting a notice on the site prior to the effective date of the changes. We will also indicate at the top of this page the date that revisions were last made. You should revisit these terms on a regular basis as revised versions will be enforceable on you. Any such modification will be effective upon our posting of new terms. You understand and agree that your continued access to or use of the site after the effective date of modifications to the terms indicates your acceptance of the modifications. Top10bisexualdatingsites.com also reserves the right to terminate your use of the website and refuse to provide you with access to top10bisexualdatingsites.com if it is brought to top10bisexualdatingsites.com notice or if it is discovered that you are under the age of 18 years. You understand that top10bisexualdatingsites.com has the right at all times to disclose any information (including the identity of the persons providing information or materials on the top10bisexualdatingsites.com website) as necessary to satisfy any law, regulation or valid governmental request. This may include, without limitation, disclosure of the information in connection with investigation of alleged illegal activity or solicitation of illegal activity or in response to a lawful court order or subpoena. In addition, we can (and you hereby expressly authorize us to) disclose any information about you to law enforcement or other government officials, as we, in our sole discretion, believe necessary or appropriate in connection with the investigation and/or resolution of possible crimes, especially those that may involve personal injury. All text, graphics, user interfaces, visual interfaces, photographs, trademarks, logos, sounds, music, artwork and computer code (collectively, “content”), including but not limited to the design, structure, selection, coordination, expression, “look and feel” and arrangement of such content, contained on top10bisexualdatingsites.com is owned, controlled or licensed by or to top10bisexualdatingsites.com, and is protected by trade dress, copyright, patent and trademark laws, and various other intellectual property rights and unfair competition laws. It is the policy of top10bisexualdatingsites.comm to take appropriate action where necessary to uphold and recognize all relevant state, federal and international laws in connection with material that is claimed to be infringing any trademark, copyright, patent and all or any other intellectual property laws. If you are an intellectual property rights owner and you believe that top10bisexualdatingsites.com sells, offers for sale, or makes available goods and/or services that infringe your intellectual property rights, and then send the following information in its entirety to the support page on the website via contact us. 7. A statement by you that the above information and notification is accurate, and under penalty of perjury, that you are the copyright owner or authorized to act on behalf of the owner whose exclusive right is allegedly infringed. Except as otherwise provided elsewhere in this agreement or on the site, anything that you submit or post to the site and/or provide us, including without limitation, ideas, know-how, techniques, questions, reviews, comments, complaints and suggestions (collectively, "submissions") is and will be treated as non-confidential and non-proprietary, and we shall have the royalty-free, worldwide, perpetual, irrevocable and transferable right to use, copy, distribute, display, publish, perform, sell, lease, transmit, adapt, create derivative works from such submissions by any means and in any form, and to translate, modify, reverse-engineer, disassemble, or decompile such submissions. All submissions shall automatically become our sole and exclusive property and shall not be returned to you. In addition to any other legal or equitable remedies, we may, without prior notice to you, immediately terminate the agreement or revoke any or all of your rights granted under this agreement. Upon any termination of this agreement, you shall immediately cease all access to and use of the site and we shall, in addition to any other legal or equitable remedies, immediately deny your access to and use of this site in whole or in part. Any termination of this agreement shall not affect the respective rights and obligations (including without limitation, payment obligations) of the parties arising before the date of termination. This site may contain links to other sites on the internet that are owned and operated by third parties. You acknowledge that we are not responsible for the operation of or content located on or through any such site. Your use of third party sites is at your own risk. Some of the services made available through the site may be subject to additional third party or open source licensing terms and disclosures. The site is made available to you on an "as is", "with all faults" and "as available" basis, with the express understanding that the top 10 bisexual dating sites entities may not review, monitor, control, or vet user content or usage. Your use of the site is at your own discretion and risk. The top 10 bisexual dating sites entities make no claims or promises about the quality, accuracy, or reliability of the site, its safety or security, or the site content. Accordingly, the top 10 bisexual dating sites entities are not liable to you for any loss or damage that might arise, for example, from the site's inoperability, unavailability or security vulnerabilities or from your reliance on the quality, accuracy, or reliability of the business listings, ratings, reviews (including their content, order, and display), or metrics found on, used on, or made available through the site. The top 10 bisexual dating sites entities make no claims or promises with respect to any third party, such as the businesses or advertisers listed on the site or the site's users. Accordingly, the top 10 bisexual dating sites entities are not liable to you for any loss or damage that might arise from their actions or omissions, including, for example, if another user or business misuses your content, identity or personal information, or if you have a negative experience with one of the businesses or advertisers listed or featured on the site. Your purchase and use of products or services offered by third parties through the site is at your own discretion and risk. The top 10 bisexual dating sites entities expressly disclaim all warranties, whether express or implied, including warranties as to the review, products or services offered by businesses listed on the site, and implied warranties of merchantability, fitness for a particular purpose, and non-infringement. No oral or written information or advice provided to you by a representative of one of the top 10 bisexual dating sites entities shall create a representation or warranty. The terms contain the entire agreement between you and us regarding the use of the site, and supersede any prior agreement between you and us on such subject matter. The parties acknowledge that no reliance is placed on any representation made but not expressly contained in these terms. Any failure on top 10 bisexual dating sites's part to exercise or enforce any right or provision of the terms does not constitute a waiver of such right or provision. The failure of top 10 bisexual dating sites to exercise in any respect any right provided for herein shall not be deemed a waiver of any further rights hereunder. If any provision of the terms is found to be unenforceable or invalid, then only that provision shall be modified to reflect the parties' intention or eliminated to the minimum extent necessary so that the terms shall otherwise remain in full force and effect and enforceable. The terms, and any rights or obligations hereunder, are not assignable, transferable or sub-licensable by you except with top 10 bisexual dating sites's prior written consent, but may be assigned or transferred by us without restriction. Any attempted assignment by you shall violate these terms and be void. The section titles in the terms are for convenience only and have no legal or contractual effect. This site is created and controlled by us in the USA. As such, the laws of the unites states of America will govern these disclaimers, terms, and conditions, as well as any claim, cause of action or dispute that might arise between you and top 10 bisexual dating sites (a "claim"), without giving effect to any principles of conflicts of laws. For any claim brought by either party, you agree to submit and consent to the personal and exclusive jurisdiction in, and the exclusive venue of, the state and federal courts located within united states of America. Please send any questions or comments regarding this via the contact us page on the site.